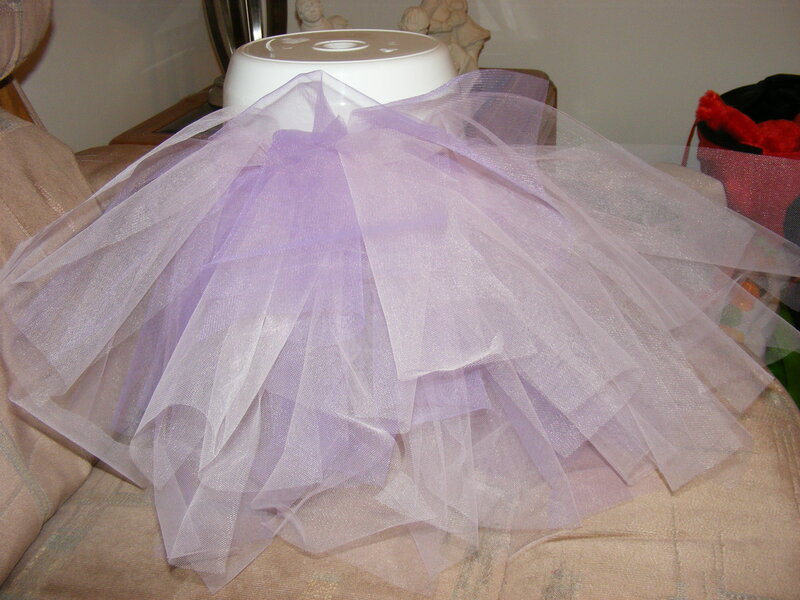 A few weeks ago I decided to make a tutu for Isabella. 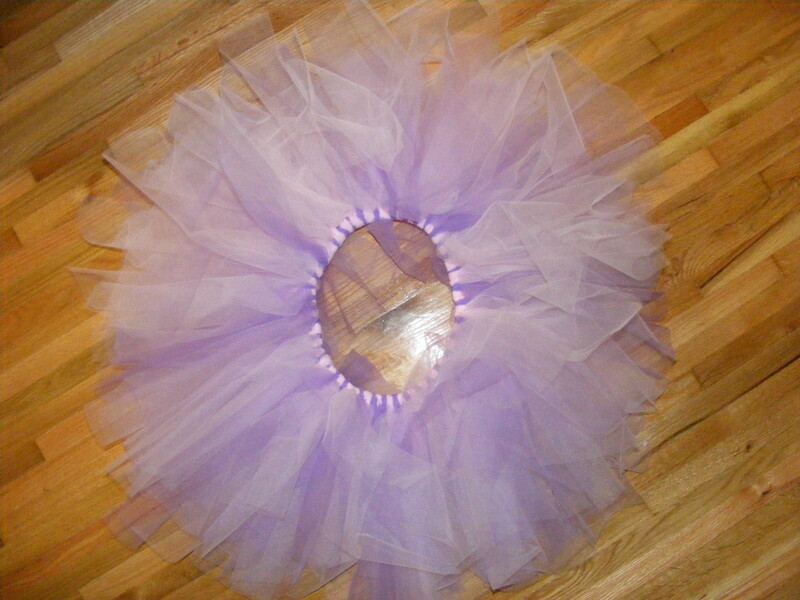 I saw how much they cost in the stores and thought that it was too much to pay for some tulle and elastic. 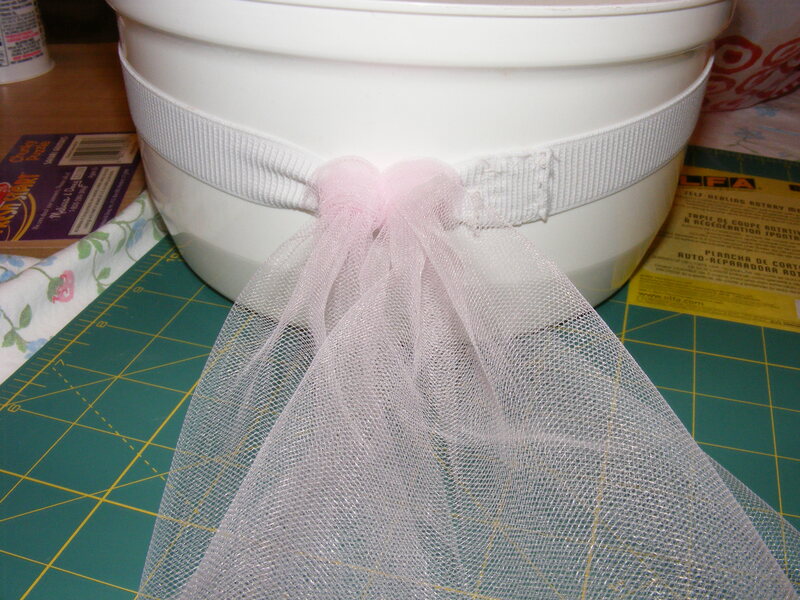 I went online and did some “googling” and found a bunch of sites that will show you how to make a tutu (a non sew ). Since I moved back and didn’t have a lot of the needed tools I did have to buy a few things, I needed to get a self-healing mat and a rotary cutter. Here you see the fabric. I chose pink and purple. I thought girly and frilly, not that a tutu isn’t girly or frilly enough. The fabric came on bolts instead of the spools like I was hoping it would. I didn’t go to Michaels (mental note for next time). The fabric store only carries it in spools during the Christmas holidays. So we had to (or rather my mommy) cut the fabric in 6 inch widths. 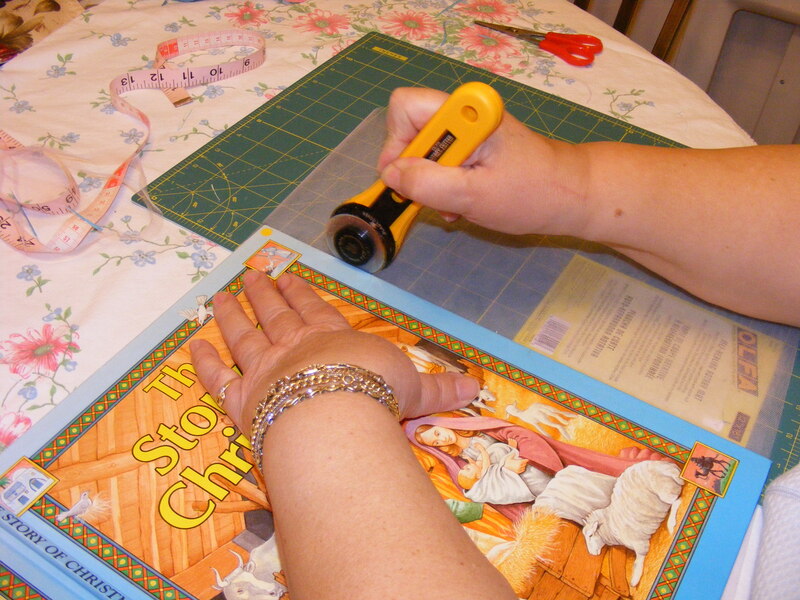 Yes that’s a book she’s using, being a former teacher she is very good at improvising. I had 4 meters of pink and 2 meters of purple. That sounds like a lot right… nope!! I ran out near the end and had to go get more. Once the fabric was cut for the width, I had to then cut it for the length. Finally I was able to start with the tying. I used my mom’s salad spinner to hold the elastic to make the job much easier. I also did the knots very tight (next time I’ll do them a little looser) and very close together. I did two pink to every purple piece. I thought that this part would be annoying since it is so repetitive but I actually enjoyed it. 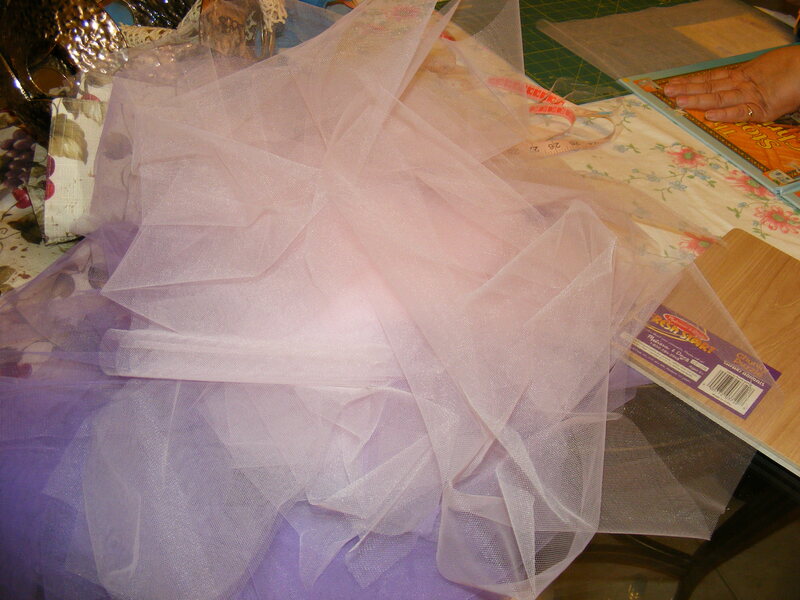 I did a slip knot for the tulle, and the end result came out fluffy. In the picture it is hard to see the difference between the two colours. My camera is kind of crappy for that. I managed to get the entire thing done in one night, not including the shortage of material. Once it was finished the tutu was fluffy and really full. It looks adorable!! I couldn’t wait to get it on Isabella to take pictures. Here is the final product. This entry was posted in A lot to do about nothing, Isabella and tagged Projects, Tutu. Bookmark the permalink.